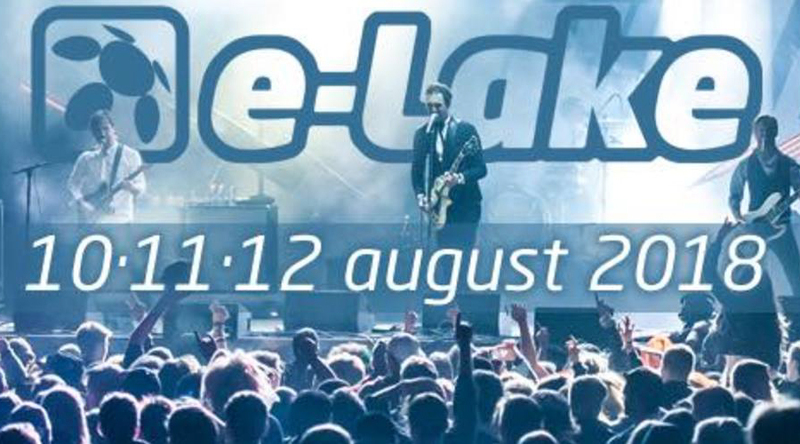 In het weekend van 10-12 augustus vindt aan het meer in Echternach het jaarlijkse E-lake festival plaats. Het festival trekt ieder jaar zo’n 25.000 bezoekers. Dit jaar verwelkomt het festival 3 Nederlandse artiesten. Rock band Kensington have released their new album Control. The first single of the album is Do I Ever. “What do I know, I ought to grow but do I ever?” singer Eloi Youssef asks in this grand rock song about vulnerability and surrender. With Control, the band (which apart from Youssef consists of guitarist Casper Starreveld, bass player Jan Haker and drummer Niles Vandenberg), have made their most ambitious and intense record yet. It’s also their most personal, and introspective. Control is the follow-up to Kensington’s 2014 release Rivals, the two times platinum album that brought them to clubs and festival stages all over Europe and built them a solid fan base around the continent. European Festivals Kensington played at include Sziget, EXIT, Frequency, Gurten, Life Festival, Werchter, Lowlands and Pinkpop. The album included the hit singles Streets, War, Riddles, and Done With It. World famous dj Armin van Buuren also teamed up with the band for the international hit single Heading Up High. As part of this collaboration, Kensington have joined Armin on his Armin Only World Tour, visiting arenas all over the world, including China, Brazil, Australia and the US. The band, whose 2013 hit song Home Again was featured in an international Jack Wolfskin commercial, will kick off its own European headline tour early 2017. In February and March, they will play venues of up to 7,000 people in Germany, Belgium, Austria, Switzerland, Poland, the Czech Republic and Hungary. At the end of the year they will play 5 sold out shows at the Amsterdam Ziggo Dome in Holland. The new album Control is a statement about the here and now. The lyrics on Control, all written by singer Eloi Youssef, are more personal than ever before. Besides using his own life as a source of inspiration, he’s also a keen observer of the people around him. From his first notable forays into music production to delivering singeing records that proved invaluable assets to Armin van Buuren’s A State Of Trance radio show and meritorious mix albums, Mark Sixma has proven himself to be among Trance’s front-runners, remaining one of the only producers to knock himself off of the #1 spot in Beatport’s Trance charts, claiming both the #1 and #2 position simultaneously. His many productions in various genres of EDM have gained support from the majority of top DJs in the world, including his collaborations with artists such as Armin van Buuren, W&W, Andrew Rayel and Emma Hewitt to name a few. On the live front, the long-time producer turned DJ played some of the biggest venues worldwide, not to mention his electrifying performances at the world’s largest dance music festivals, such as Creamfields, TomorrowWorld, Dreamstate, A State Of Trance and Ultra Music Festival. Between his sublime originals, monumental remixes for luminaries such as Armin van Buuren and Hardwell and his exhilarating DJ sets, it’s clear for all to see – and hear – that Mark Sixma belongs where he’s currently at. The very top of the Trance scene.